Halloween is upon us and what that can often mean is a crazy day of running to Target to grab candy, picking the kiddos up from school & practice, and then off to Trick or Treat or to a Festival. Hoping that the rain holds out in the DFW area, and our kids can go out with friends to have some fun! They will then return with buckets of candy, and we will have leftover candy at our house - sugar filled fun! A great alternative is to be the "healthy house" in the neighborhood - buy small boxes of raisins or trail mix! There is nothin' wrong with that! Another great tip for younger kiddos - is to give them a container that is a bit smaller than a pillowcase. That way, they can fill up a small container and be good to go! 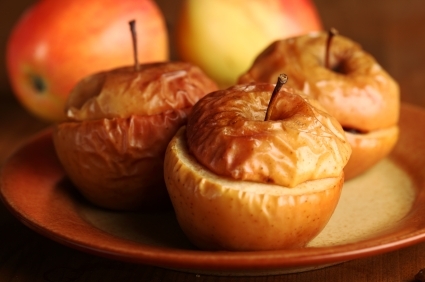 Here are some fun healthy recipes we have found to go alongside your Halloween evening! What plans do you have for tomorrow night? Any great costume ideas out there? 2. Place seeds, water (2 cups water for every ½ cup of seeds), and salt in medium saucepan. Bring to a boil over medium-high heat. Reduce heat to medium; gently boil for 10 minutes. Drain thoroughly. Dry with paper towels. 3. Coat baking sheet with oil; spread pumpkin seeds on baking sheet in a single layer. Bake for 20 to 30 minutes, or until seeds are lightly browned. Let cool completely. Tip: For flavored seeds, coat with one or more suggested spices before baking. 2. Combine oats, sugar, cinnamon, ginger, nutmeg, cloves, and butter in a small bowl; mix with a fork until crumbly. 3. Fill apples evenly with oat mixture. 4. Place in an 8 x 8-inch pan; add water. Cover lightly with aluminum foil. 5. Bake for 20 minutes; remove foil, continue to bake for 20 minutes, or until apples are fork tender. P90X Dallas was a Success! 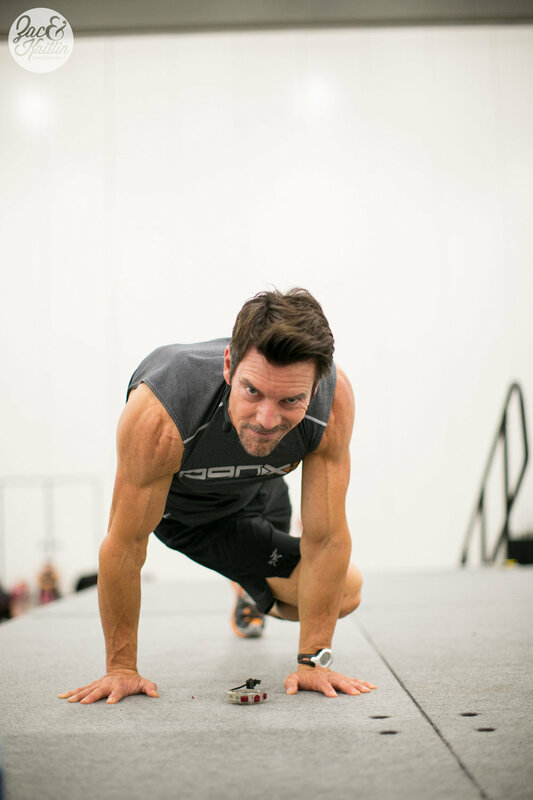 This past Sunday we met with over 200 participants to workout alongside the P90X creator, Tony Horton. He flew down to the Lone Star State to show us a preview of P90X3, and let's just say...It was awesome. The cardio workout will stretch you like never before and leave you wanting more. We also had a chance to hear Tony's Top Tips for reaching your fitness goals and several success stories from Beachbody coaches. We also had a Q&A session with Tony and had the chance to take a closer look into his diet and his workout routine. The day was finished with a P90X Yoga session. We had a blast and have gotten to hear some neat stories from people that have attended the event. Thank you to everyone who came out to the event! We had a great time and a BIG thank you to all the volunteers that helped at this event! Anyone out there attend the event? What was your favorite part? Go to our home page to see the pictures from the event! Beachbody is coming out with P90X3 this Holiday Season! P90X3 is going to be a 30 minute intensive workout that will require focus and persistence, but in the end create fabulous results. The program will have 20 different workouts and last for 90 days. This program is unlike any other. Tony extracted the best of the best out of P90X & P90X2 to create P90X3. You just need 30 minutes and you are done for the day. Eager to see what P90X3 is all about? Well good news, friends! 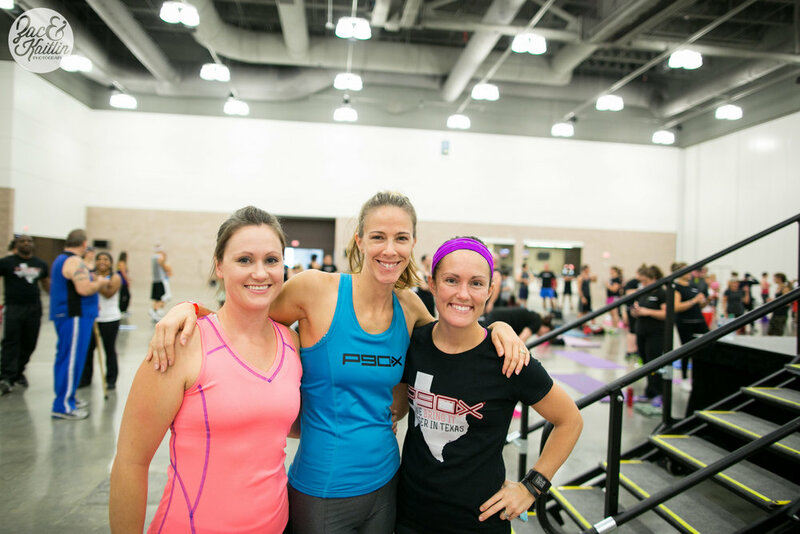 You can see a sneak peak to P90X3 on October 20th in Dallas, Texas. P90X is coming to Dallas! 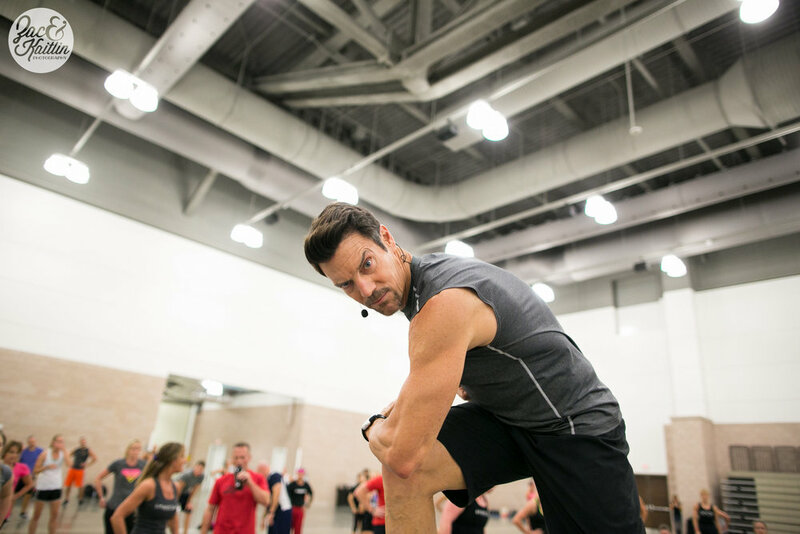 Tony Horton, the creator and guru of P90X, is coming to Dallas, Texas and you cannot miss out on this event. We are so excited to invite our good friend Tony back down here to the Lone Star State for another all day event filled with awesome tips and master class workouts. The day will include 2 P90X workouts, a Q&A session with Tony, a photoshoot opportunity with Tony, and Top Tips Speeches from Tony & Founding Beachbody Coaches. Only 80 Spots Available – Register Now! Hurry the VIP spots are almost GONE! You will get VIP access to all the sessions to get the best seating available! You will also get your picture taken with Tony by a professional photographer. Not to mention the P90X gear you will leave with! The end of August is almost here... back-to-school sales have begun, the weather will soon be cooling down (fingers crossed!) and kids will soon be headed to their next year of school. Seriously - Where has the time gone?! This new season is right around the corner, and with that comes so much busyness with new schedules and after-school activities for the kiddos. It always seems like we are always on-the-go! With this crazy schedule, our own personal fitness can easily be pushed to the back of our brain - you know, back there with all the other tasks we have all been procrastinating...cleaning our closets, for example. It is so easy for us to want to hit snooze to get in a few more minutes of sleep, and then before we know it the day is busy, busy, busy until we put our feet back into bed. Let this autumn be a bit different. Let's FALL into a new routine that will be oh-so-easy to fit into anyone's schedule. Shaun T., the creator and instructor behind Insanity, has a new workout called FOCUS T25. And you can get your workout done in just 25 little tiny minutes. Crazy! Swap out a few minutes from Facebook surfing and Pinterest pinning, to put yourself first and get so much in return! You will find so much more energy in your day and when done 5 days a week with the correct nutritional guide, you will see great results! This workout requires no equipment just FOCUS. You have to sign over 25 min. to Shaun T. for him to push you hard but in return you are DONE for the day. One of the best aspects of this workout is that you can do it right at home in your living room. No need to tack on extra time getting over to the gym, just flip on the TV while the kids are doing homework or taking a nap. As some of y'all may know, I had the awesome opportunity to be in the test group for this product before it hit the shelves. I got amazing results - even with being a busy mom with 2 growing boys, owning my own business, and being an active member in the community - I lost 21 pounds and 14 inches! It is so do-able! Just carve out those 25 min. and FOCUS on you! You will be amazed at how great you feel. It comes with a nutritional guide with easy meals to make, and a workout schedule. Plus you get me as your personal motivator! I have an online accountability group where I post my tips on how I got these results so that you can get them too. You get your own personal workout cheerleader!! :) Just drop me a quick message and I will add your to our next group. So before you forget, add T25 to your to-do-list and get to work. Remember the best part: 25 minutes and you are done! It is just that easy. Email me: melissa@monsterhomefitness.com. I hope to hear from you!! Don't delay because you can quickly melt the pounds away!!! Considering it's St. Patrick's Day, I thought this would be a great, healthy way to celebrate! This minty Shakeology recipe satisfies your sweet tooth and your desire to raise a glass to St. Patrick, but it's great any time of the year. Preparation: 1. Place almond milk, kiwi, mint, maple syrup, Shakeology, and ice in blender. 2. Cover and blend until smooth.